One of Britain’s most significant sculptors, Rachel Whiteread’s work confronts history, memory and the everyday. Her approach to sculpture is predicated on the translation of negative space into solid form. Casting from everyday objects, often using spaces around or within furniture and architecture, she uses materials such as rubber, dental plaster, and resin to capture every nuance. Her recent commission for 14-18 NOW in Dalby Forest manifests the negative space of a First World War Nissen Hut, rendering the impact of the war on the British landscape visible. For this event, the artist is in conversation with Whitechapel Gallery Director Iwona Blazwick about her illustrious career. Born in 1963 in London Rachel Whiteread studied painting at Brighton Polytechnic from 1982-1985, and sculpture at the Slade School of Fine Art from 1985-1987. The first woman to win the Turner Prize (in 1993), Whiteread’s work has been included in solo and group exhibitions worldwide, and in 1997 she represented the UK at the 47th Venice Biennale. Her major 2017/18 retrospective at Tate Britain travelled to Vienna and Washington in 2018, and will be shown in St. Louis in 2019. 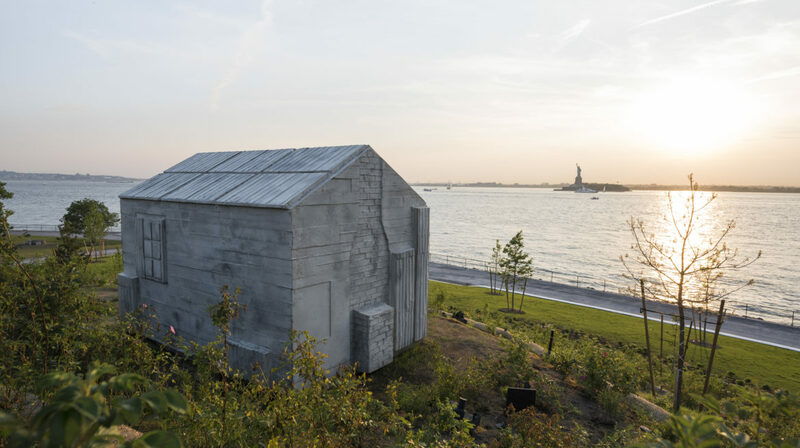 Whiteread was awarded the International Medal of Arts, U.S. Department of State, and the Ada Louise Huxtable Prize in 2017.